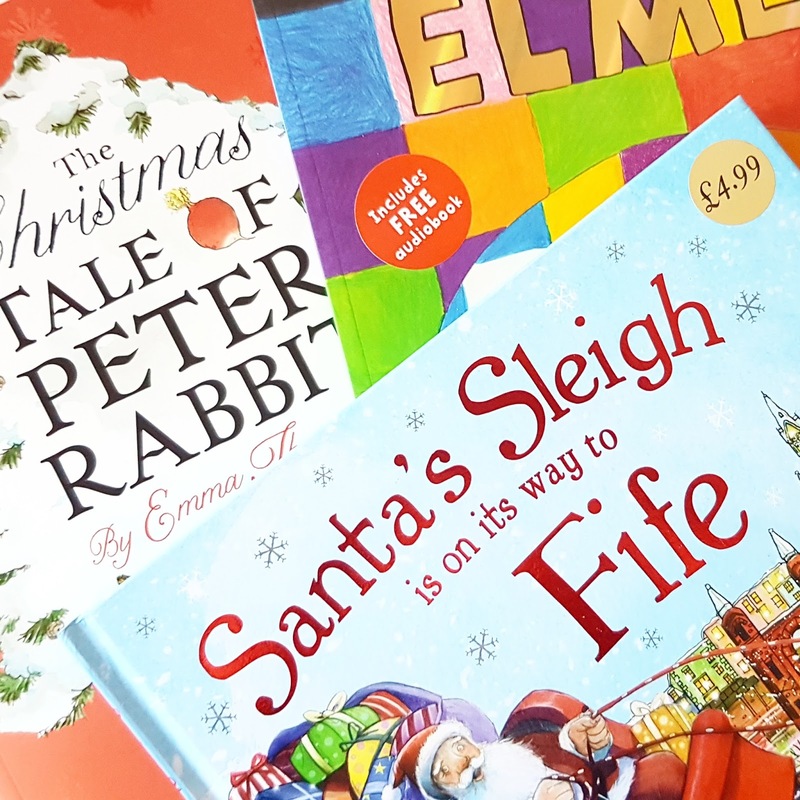 Shopping for Penny this year has been difficult, sometimes I think that because she’s a baby and has no idea what’s going on, buying gifts is a little pointless but, then again, I’m like sod it, it’s her first Christmas lets go nuts. I think I’ve done a good job so far of not going overboard. I’ve bought her a mixture of things she’ll love right now (rattles & teethers), personalised toys she’ll keep forever (soft toy and storybook) and toys she’ll play with in the future. First up are two items that were very kindly sent to me which I adore and hopefully so will Penny. I’m a huge Disney fan. I have all the Blu-rays that have been released so far, I have downloaded all the soundtracks (you can take this quiz to test how well you know them too) and I made sure to visit Disneyworld on my honeymoon. I am counting down the days until it’s acceptable to take her to see Disney on Ice! 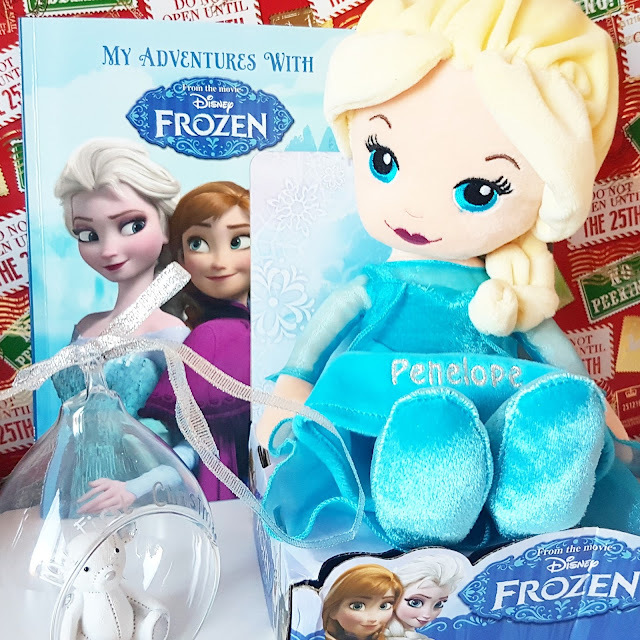 Anyway, what little girl doesn’t like Frozen? I Just Love It is an online store that specialises in personalised gifts for all ages, all year round. 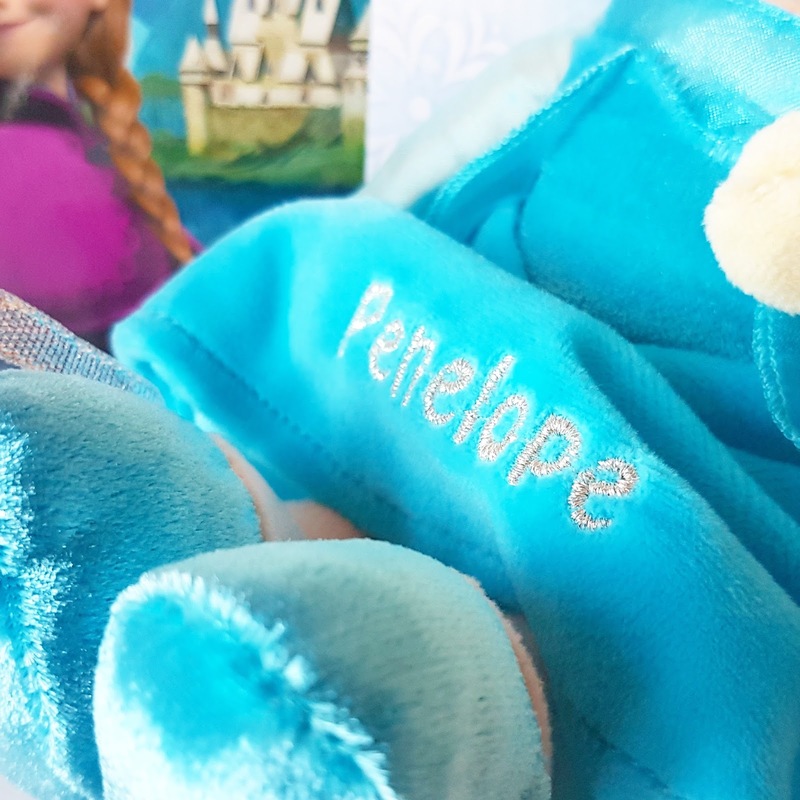 Bracelets, candles, wine, soft toys – you name it I Just Love It has a beautiful selection of personalised options that are that little bit more special and thoughtful. 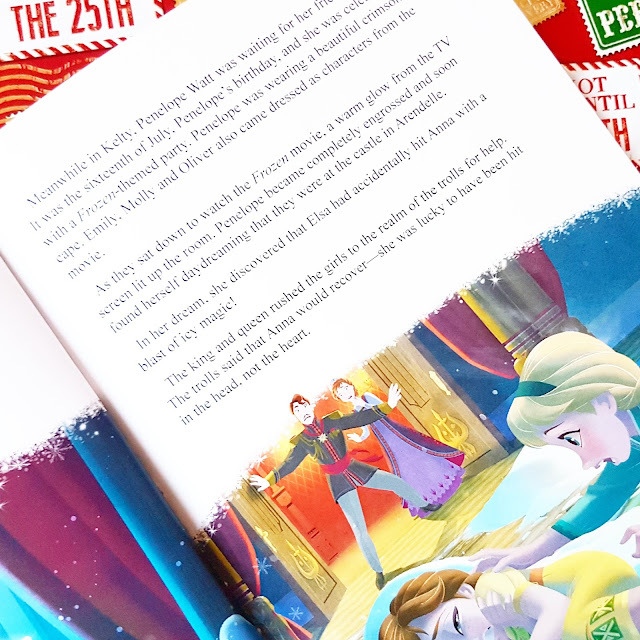 This book for example actually has Penny’s birthday, baby friends and town woven into the story, plus ‘Love Mummy & Daddy’ written on the inside. Let’s just hope she loves Frozen as much as I do! I want to pick up a few things that Penny could play with now so my first stop was Lamaze. I bought Penny many toys from here and she just seems so much more interested in their products than any other. They are virtually indestructible and visually very stimulating. 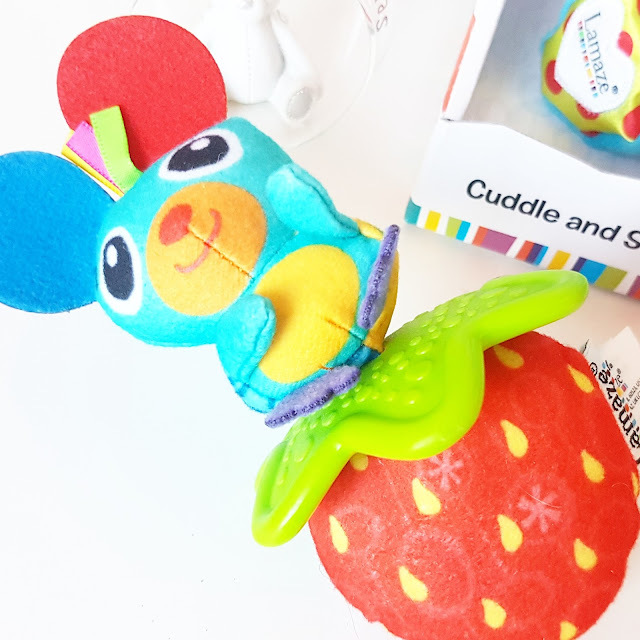 I gave her the Lamaze Little Grip Rattle Mouse (here) before Christmas as she was very irritable one day and the safe teeing ring was great for soothing her poor gums. It’s the perfect size for Penny’s tiny hands (she’s 5 months now – where has the time gone?) and she loves the noise, it can keep her engaged and entertained for quite a while. 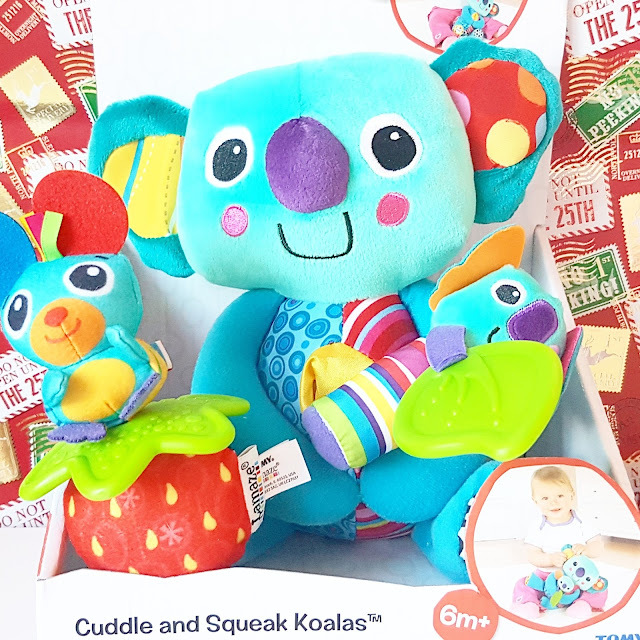 I picked up the Lamaze Cuddle Up Koalas (here) for Amazon as it’s very similar to a toy she already has and she loves the feel of all the different textures and to stare at all the eye-catching colours. 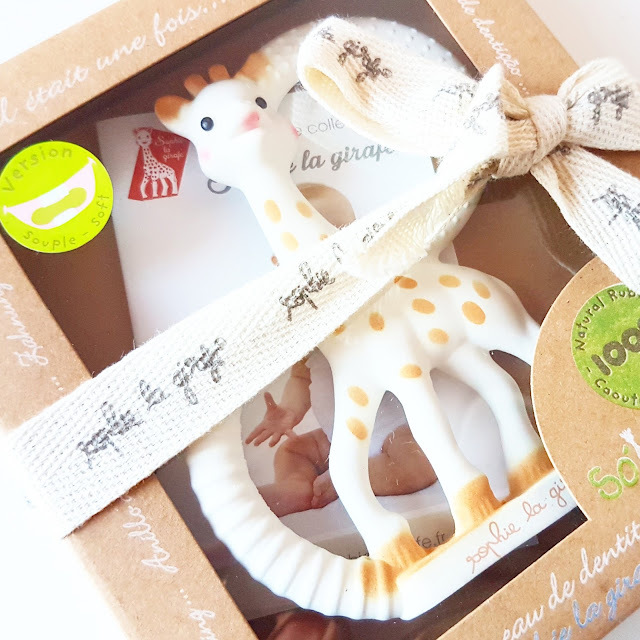 I also ordered this Sophie The Giraffe So Pure Teething Ring (here) as I’ve read it can be a lifesaver for teething babies. I thought, as I have money now and you never know what could happen in the future, that I should invest in a few toys that she can play with in the future. I hope that when she is older, she can look back on them and say she got it for her very first Christmas. I picked up a collection of wooden musical instruments from Amazon, inspired by my visits to the wonderful Orange Tree Toys store, as well as a beautiful dolls house from ASDA. I didn’t pick up any furniture because it’s my hope that we can slowly pick-up items for it as she gets older and builds her collection of figurines and accessories as she grows. Plus, it will be fun to watch Ross build it on Christmas Eve whilst I’m sitting with my feet up drinking my mulled wine! And finally, I picked up a few storybooks from Tesco, Dobbies and charity shops, ordered her Christmas dress from Next, a ‘Baby’s First Christmas’ tree decoration from Matalan and this lovely personalised plaque to countdown the days until Christmas from AmoreArtGifts available from Etsy. What’s on your little ones Christmas list this year? "Christmas Gift Guide 2016 | Cruelty Free Beauty Ideas from Naturisimo"
"Degustabox | The Christmas Box (£7 Off Promo Code)"